Do you need your grease trap cleaned and emptied? We are YOUR local, reliable South Australian Grease trap cleaning company with over 20 years of experience in the industry. Whether you need a tiny truck for tight access or you need The Big One, we have a fleet of vehicles at your disposal, we have the equipment and the manpower with a ‘Can do attitude’ to get the job done. Do you need help with SA Water in regards to your permit and compliance of discharging trade waste and liquid grease trap waste into the SA Water Sewer System? Grease trap waste is generated by commercial businesses such as fast food chains, bakeries, shopping centres, butchers and restaurants. These businesses must comply with the requirements set out by SA Water guidelines. (click here to view SA Water Guidelines). The frequency of cleaning or pumping out depends on the size of the grease trap and the amount of waste (grease and food scraps) that enter the grease trap. As a guideline scheduled pump outs should occur every 13 weeks. 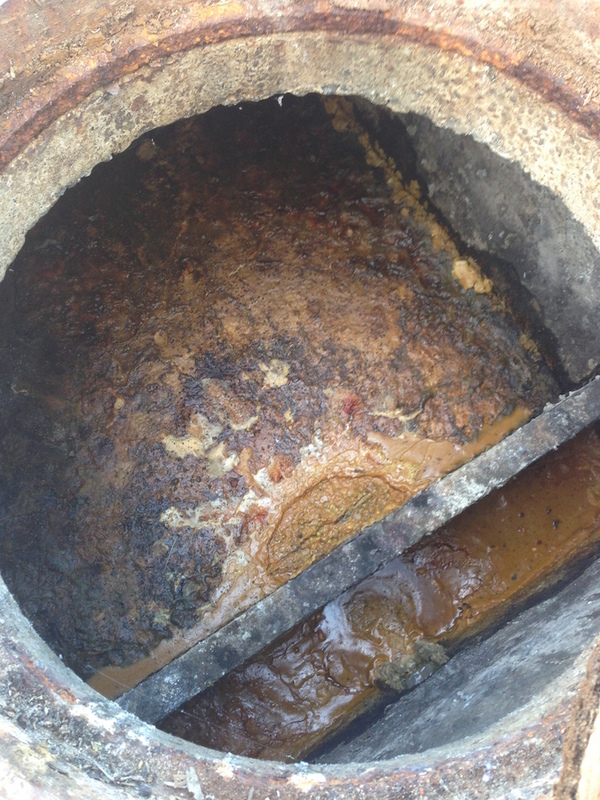 The consequences of not maintaining your grease trap by a licensed service provider are not only bad odours and inspections from SA Water but greasy waste may enter the sewer system causing blockages and overflow and flooding onto your property. If this happens in a commercial kitchen then this would mean that the kitchen would be closed until the flooding has been removed. Please take note: ALL GREASETRAPS WILL CLOG UP IF YOU DO NOT REMOVE GREASE REGULARLY. At Nitschke Liquid Waste we provide cleaning and maintenance of YOUR grease trap. With our expertise, we will pump out your grease trap, scrape the sides and baffles and deodorise your system. Our service technicians also clean and inspect your grease trap filter. This service will then be placed in our system as routine maintenance so that regular cleaning of your grease trap is never overlooked. We are EPA licensed and all waste removal is documented on waste tracking forms as required by the EPA. All SA Water requirements will be met when you contract Nitschke Liquid Waste to do YOUR grease trap cleaning.